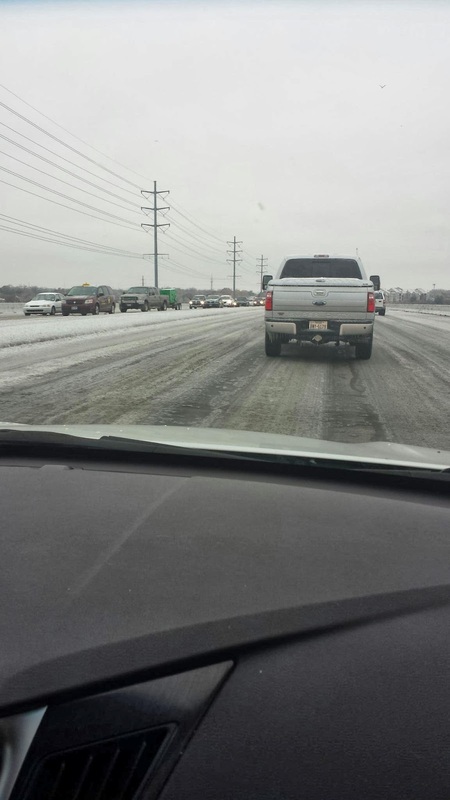 If you have been following me, you know that North Texas got a total dump of ice on Friday. 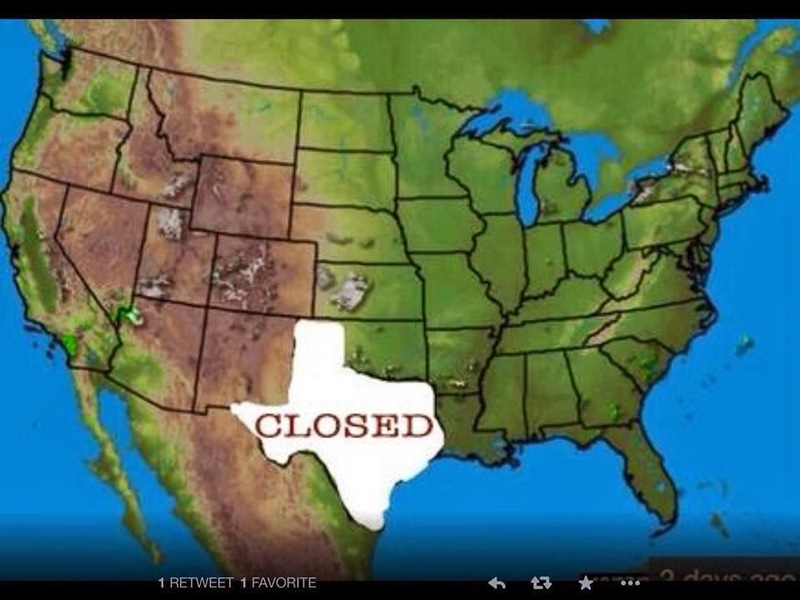 Shutting down the whole north Texas. Seriously! Up near Denton the semis could not move on the interstate and were just sitting there! You know from my last post I was without electricty for 8 hours and there were other areas that were without for 36+ hours! Holy guacamole, Batman! So my weekend was kinda boring. I was stuck inside most of Friday. LT braved the weather and drove up in it after getting off of working and taking care of his parents. Once he arrived, we got out in it and braved the bridges! I am glad he was driving and not me! Yes, I am from Kansas and was used to driving on the roads in bad weather conditions. I just didn't want that stress. By Sunday the bridges were thawed enough that I was able to get out and get jiggy with it. Which is a good thing because I have to cross a big bridge to go to work, so I knew I could make it Monday....wait a minute, is that really a good thing? Anyway, here is what I was up to over my weekend, in pictures. 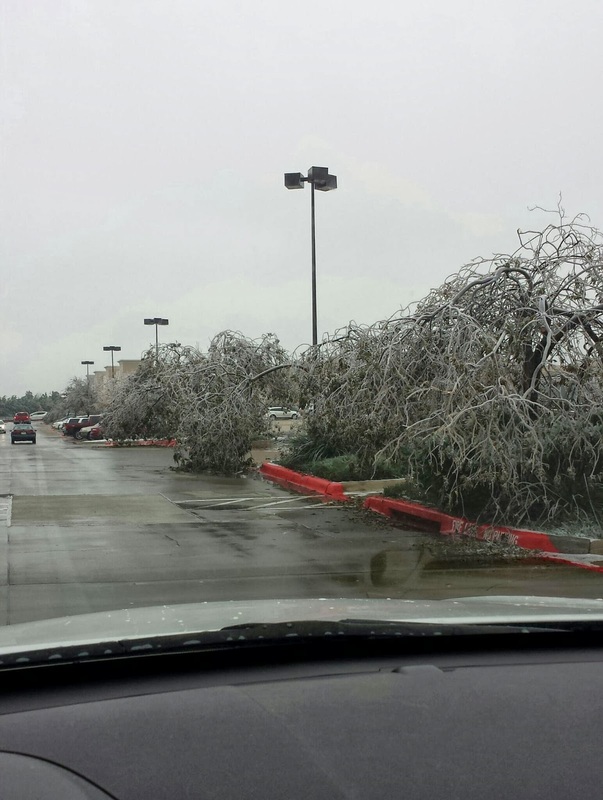 The biggest issue with all the ice was the trees. The ice bent branches and broke a lot of limbs, hence no electricity. This was at a shopping area. Those trees cracked under pressure! I am so thankful LT drove. 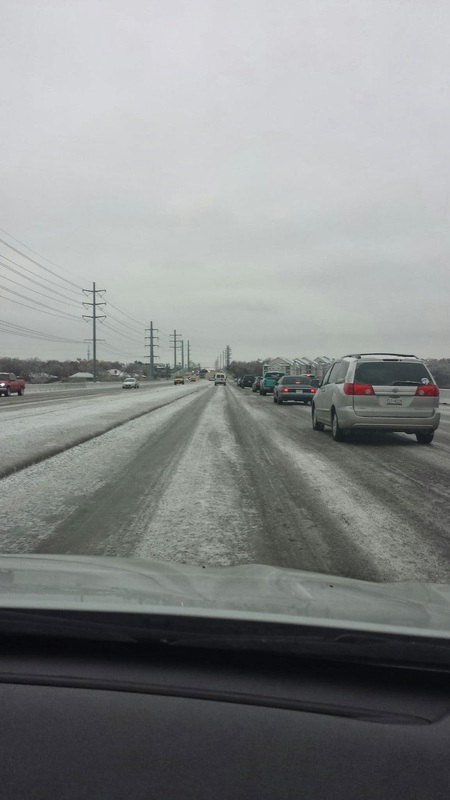 I would be stressful going across these icy bridges and changing lanes! I refused to take pictures of me gripping the dash with white knuckles! Make me jealouse...what did you do over the weekend?